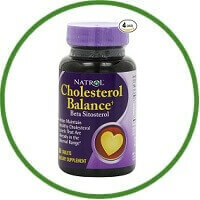 Natrol’s cholesterol balance tablets feature a synergistic phytosterol complex, providing 120 mg of beta sitosterol per tablet. No yeast, wheat, milk, egg, glutens, artificial colours or flavours, added sugar, starch or preservatives. Natrol makes this product in the U.S.A.